Math may not be everyone’s cup of tea, but we all have to deal with i..
Wikipedia is one of the most useful websites around. It does not always hav.. While it is true that many folks buy their iPhone or iPad to get things don.. Anyone who has had to manage employees knows about the importance of proper..
Knowing a thing or two about coding is quite useful these days. Many folks .. Many of us are guilty of spending beyond our means. You can’t expect .. 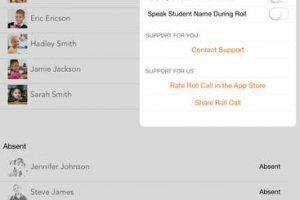 Developing an iPhone or iPad application is not as easy as some make it loo.. Chess is an awesome board game. It is easy to learn but hard to master. The.. Anyone following a degree in the health and medical fields needs to take a course or two in anatomy. Not everyone is going to get human anatomy and all the ins and outs of it easily. It does not come to everyone naturally. There is so much you can learn from reading anatomy books. 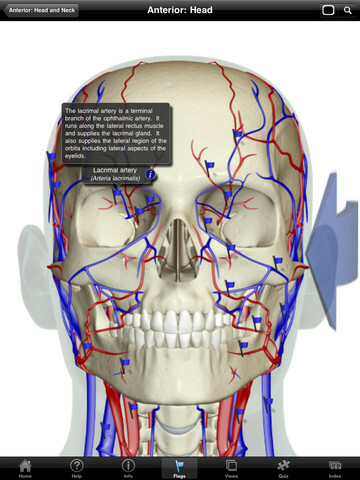 Interactive apps such as Cardiovascular System provide students of anatomy with a helping hand. 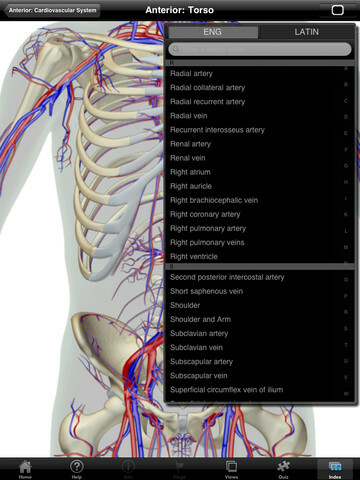 Cardiovascular System for iPad is quite helpful for anyone studying anatomy. It is developed to offer everyone something regardless of their level of knowledge in this field. Cardiovascular System is fully interactive. Users can zoom in to identify vessels. The app provides students with detailed 360 degree views of heart. You get multiple views of the heart to study it to your heart’s desire. Cardiovascular System looks very good. But it is thick content-wise too. It has 1200+ labeled parts for your studies. The superb 3D images included are helpful too. The labels are available in English and Latin. The index feature lets you search for parts you need to study in both languages. 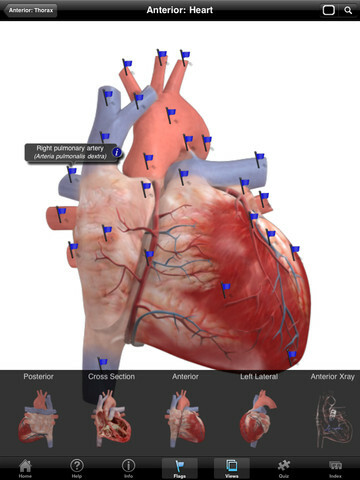 Cardiovascular System lets you master the human Cardiovascular System on your tablet. It has a ton of useful information and lets users tests themselves on this topic. You do not need an internet connection to use this app. What more can you ask? Copyright © 2013 Appfinders| All rights reserved.